This article is about the Jordanian prince. For other people with the same name, see Ali bin Hussein (disambiguation). Prince Ali bin Hussein (Arabic: الأمير علي بن الحسين‎; born 23 December 1975) is the third son of King Hussein of Jordan, and the second child of the king by his third wife, Queen Alia. He is also the half brother of King Abdullah II. He is a member of the Hashemite family, which has ruled Jordan since 1921 and claims to be descended from the Islamic prophet Muhammad. In September 2015, Prince Ali announced his candidacy in the FIFA presidential election following Sepp Blatter's resignation. Ali spent his summers in 1984 and 1986 at Camp Agawam in Raymond, Maine. Prince Ali began his primary education at the Islamic Educational College in Amman. He continued his studies in the United Kingdom, the United States and graduated from Salisbury School in Connecticut in 1993, where he excelled in wrestling. He entered the Royal Military Academy Sandhurst in the United Kingdom. Ali was commissioned as an officer in December 1994 and was awarded the Brunei Medal for serving in Brunei. Before continuing his studies in the United States, he served in the Jordanian Special Forces as a pathfinder, earning his military freefall parachute wings. He completed his undergraduate education at Princeton University in 1999. Prince Ali is fluent in Arabic, English, and Circassian. In 1998 Prince Ali went on a publicized horseback journey to the Caucasus (Circassia), from Jordan through Syria and Turkey, to raise awareness of the Circassian diaspora worldwide. The trip traced (in reverse) the path of the exodus that brought the Circassians to Jordan. In 1999, Prince Ali was asked to serve as commander of King Abdullah II′s Special Security in the Royal Guards. He served in that capacity until 28 January 2008, when the king entrusted Prince Ali with establishing and directing the National Centre for Security and Crisis Management. He is also the chairman of Jordan's Royal Film Commission. Prince Ali is president of the Jordan Football Association. He is also the founder and president of the West Asian Football Federation, and under his presidency the membership has increased to 13 countries. Prince Ali announced his candidacy for FIFA President, representing Asia, on 7 October 2010. Ali's campaign focused on change, football ideals, and uniting and raising the profile of Asian countries, within FIFA and generally. Prince Ali won the election for the position of FIFA vice president, representing Asia (25 votes to 20 for his opponent Dr Chung Mong-joon) at the AFC Congress in Doha, Qatar, on 6 January 2011. As FIFA vice president, Prince Ali served as a member of both the FIFA Executive Committee and the AFC Executive Committee. Prince Ali successfully championed the lifting of FIFA's ban on the hijab in women's football. Ali was one of a number of FIFA officials to call for the publication of the Garcia Report into allegations of corruption surrounding Russia and Qatar's bids for the 2018 and 2022 FIFA World Cups. in 2012, Prince Ali set up the Asian Football Development Programme (AFDP), a social enterprise focused on Asia and the Middle East which aimed to unite and transform communities through football, promoting respect and tolerance for others, fostering team spirit and developing talent. Its achievements include reaching over 80,000 young people directly through its projects, training over 500 coaches, administrators and referees in refugee camps , schools and clubs; distributing 100,000 footballs to young people's programmes and organizations and completing 30 projects across 25 countries. In October 2018, AFDP Global was launched at the Emirates Stadium in London. AFDP Global's mission is to extend this work to all regions of the world. Ali lost the 2015 FIFA Presidency election to Sepp Blatter after resigning before second round voting took place. Blatter secured 60 more votes than Ali in the first round of voting, shy of the two thirds majority required to win in the first round, though with only a simple majority required in subsequent rounds Ali's defeat appeared to be inevitable. However, following Blatter's announcement in June 2015 that he would resign from the post of FIFA president amid the ongoing corruption scandal, Ali announced in September 2015 that he would run for FIFA president again in the 2016 special election. Ali finished third in the first round behind Gianni Infantino and Salman Bin Ibrahim Al-Khalifa, polling 27 votes. In the second round, Ali again finished third behind the aforementioned duo, garnering a greatly reduced total of 4 votes. 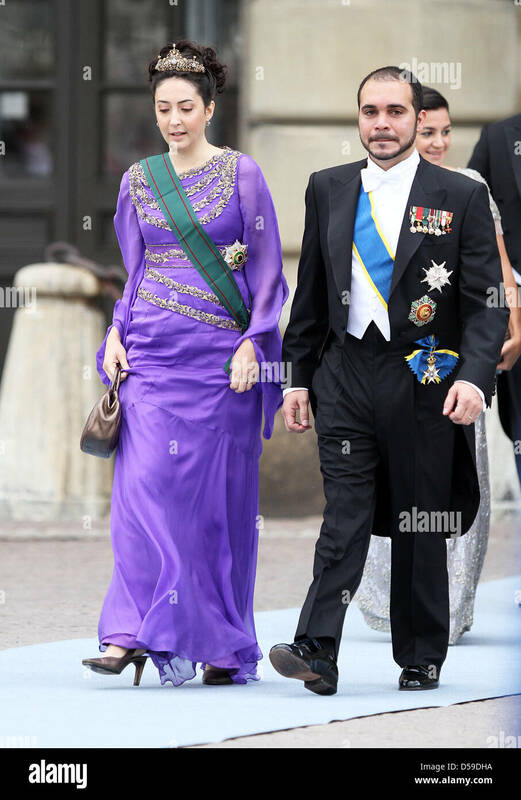 On 23 April 2004 Prince Ali married Algerian-born Rym Brahimi, a former CNN journalist and daughter of the Algerian diplomat Lakhdar Brahimi, a former United Nations Special Representative for Afghanistan. The marriage was publicly celebrated on 7 September 2004. 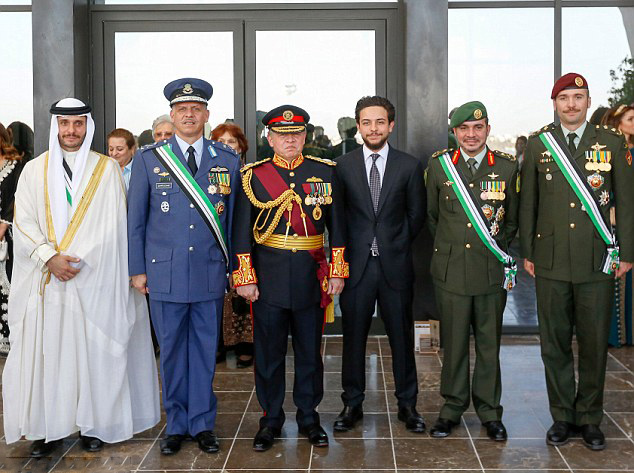 Prince Ali holds the rank of brigadier in the Jordanian Armed Forces. ^ a b "Prince Ali Bin Al Hussein confirms intention to run for FIFA president". ESPN FC. 9 September 2015. Retrieved 9 September 2015. ^ "Prince Ali turns 39". Jordan Times. ^ Prince ali trip to kavkaz. YouTube. 6 November 2006. ^ "*The Prince and the 'Noble People' of the Caucasus*". angelfire.com. ^ "AhluBayt News Agency - ABNA - Shia News". Abna.ir. Retrieved 25 May 2017. ^ "Fifa prosecutor Michael Garcia calls for World Cup report to be made public". The Guardian. 24 September 2014. Retrieved 24 September 2014. ^ "The most important soccer is not being played in Brazil but in refugee camps in Jordan". Washington Post. Retrieved 12 November 2018. ^ "Prince Ali opens new football pitch in Zaatari". Jordan Times. 13 September 2017. Retrieved 15 November 2018. ^ "Prince Ali focusing on football mission outside FIFA and AFC". www.msn.com. Retrieved 12 November 2018. ^ "Prince Ali focusing on football mission outside FIFA and AFC". Eurosport. 10 October 2018. Retrieved 12 November 2018. ^ "Prince Ali dumps football politics to focus on AFDP social development initiative - Inside World Football". Inside World Football. 19 October 2018. Retrieved 12 November 2018. ^ "Sepp Blatter beats Prince Ali to be named FIFA president for 5th term". ESPN. 29 May 2015. ^ "Sepp Blatter to resign as Fifa president – as it happened". The Guardian. 3 June 2015. Retrieved 4 June 2015. ^ "Sepp Blatter to resign as Fifa president amid corruption scandal". BBC Sport. 3 June 2015. Retrieved 4 June 2015. ^ "Gianni Infantino becomes new FIFA president after winning election". Dailymail.co.uk. 26 February 2016. Retrieved 25 May 2017. ^ "Gianni Infantino elected FIFA President". FIFA.com (Press release). 26 February 2016. Retrieved 26 February 2016. 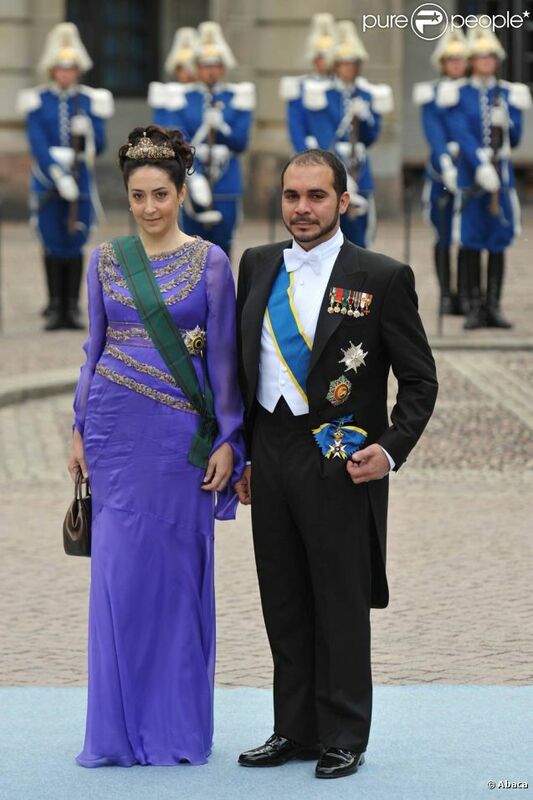 ^ a b "Prince Ali wearing the Orders of the Supreme Renaissance and the Swedish Polar Star" (JPG). C7.alamy.com. Retrieved 25 May 2017. 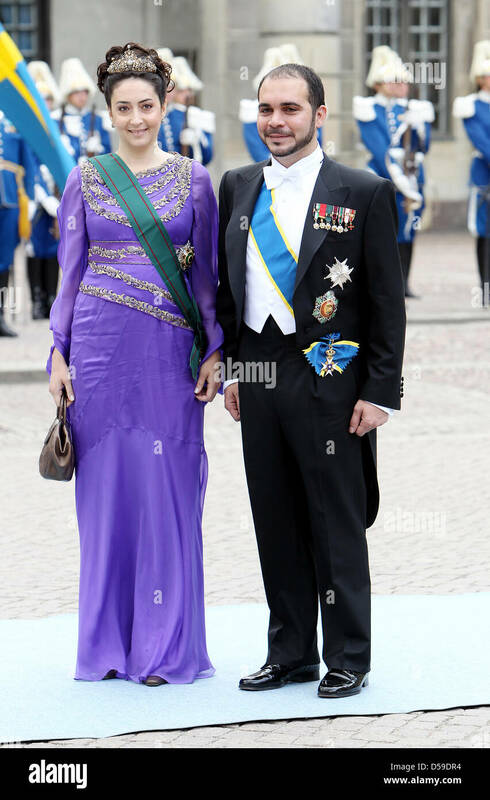 ^ a b c d e f g h "Prince Ali wearing Swedish and Jordanian Orders and Order Medals" (JPG). C7.alamy.com. Retrieved 25 May 2017. ^ a b c d e f g h "Prince Ali wearing his Jordanian Orders and Medals" (JPG). 3.bp.blogspot.com. Retrieved 25 May 2017. ^ "Photographic image" (JPG). Cs413531.vk.me. Retrieved 25 May 2017. ^ "Reply to a parliamentary question about the Decoration of Honour" (PDF) (in German). p. 487 & 1660. Retrieved 15 February 2017. ^ Sharkov, Damien (26 May 2014). "Jordan's Maverick Prince Ali to Run Against Blatter for FIFA Presidency". Newsweek.com. Retrieved 25 May 2017. ^ "Photographic image" (JPG). Static1.purepeople.com. Retrieved 25 May 2017. Wikimedia Commons has media related to Prince Ali bin Al Hussein. This page was last edited on 19 April 2019, at 10:29 (UTC).